A taste of Italy in Gdańsk! The key thing here is the freshness of the dishes. Apart from the lasagne con ragu, which needs time in the oven, all dishes are prepared right before they are served. A new Italian restaurant has opened on ul. Tkacka, in the centre of old Gdańsk. The restaurant’s name is Sapore. This might not normally be news, but in this case, the authentic Italian cuisine is served up by a native of Gdańsk who spent almost a decade of his life in Italy. 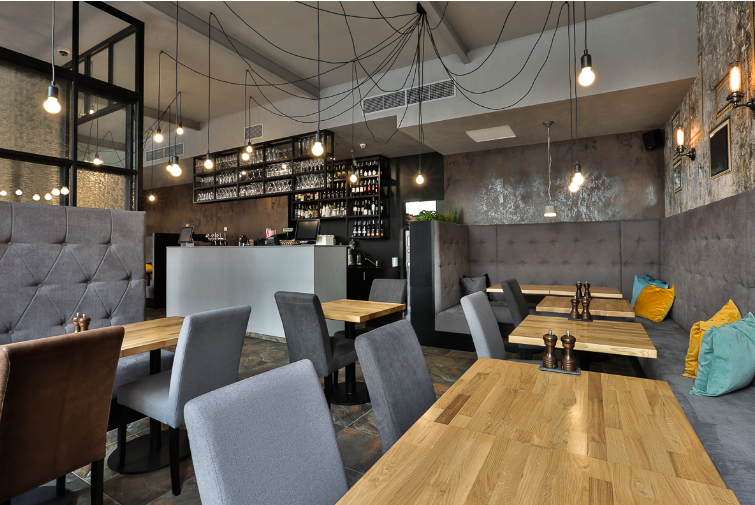 The restaurant is already appreciated by Italians, and both inhabitants of Gdańsk and tourists alike have the opportunity to get to know not only regional Italian tastes, but also the Italian style of enjoying family meals. In Sapore’s menu you won’t find stereotypical Italian classics. The chef offers many dishes that are characteristic of the region of Umbria, and are prepared according to original Italian recipes – a novelty in the Tricity. The products used in the kitchen come only from the best, proven suppliers, and some are imported directly from Italy. Other products are manufactured by the chefs themselves, for instance the Italian sausage, which is served with pasta, garlic, mushrooms and cream. On the menu you will also find antipasti or Italian appetisers (for example cauliflower, goats’ cheese or truffles), tiger prawns, mussels, traditional thin-crust pizza, various pastas and carefully selected beef. The restaurant’s interior is not exactly a replica of an Italian tavern, but this is not an omission. The interior design is discreet, but interesting. All kinds of guests are sure to feel comfortable here, from those wanting to have a family dinner, to those exploring the old town of an evening, and looking to drink good wine with their friends or enjoy excellent snacks. The restaurant is filled with the sound of Italian music, including of a more modern style. It’s worth noting that Sapore is the first restaurant on ul. Tkacka – even though it is in the very centre of the city, this street hasn’t been associated with dining, until now. The restaurant offers 50 places inside and around 120 further in the summer garden. There are also plans to use the large space upstairs.